One of the best practices we often preach is the importance of a consistent visual brand identity. When you have a defined visual identity, all of the content created by your brand follows a series of creative guidelines. This ensures that the people who consume your content and interact with your brand are exposed to a consistent experience. However, to develop content that will consistently deliver results, you need to test creative iterations to see what styles, formats, and tones best resonate with your audience. The optimal way to test performance is to drive as many qualified eyes to your content as possible. Once you capture people’s attention, use metrics like comments, shares, and click-through rates to analyze what drives the most engagement. To capture that data, you first need to drive your audience to the content. How can you boost visibility? Upload your content to social ads and let them run. What’s your optimal color for content? Color has a profound impact on visual content marketing. There are certain colors that tend to capture people’s attention more than others. Some colors evoke feelings of trust and dependability more effectively than others. Your goal as a marketer is to develop a color palette for content that captures the attention of your target audience and promotes your brand as a credible authority figure. Use research others have compiled about various shades of colors to kickstart your visual calibration. 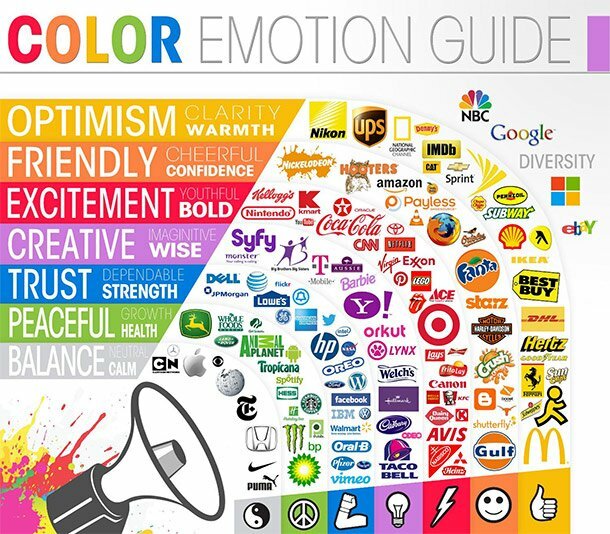 This is the color emotion guide produced by The Logo Company. You can see the feelings and emotions heightened by various shades of color. Many of the world’s largest brands have developed their reputations, in part, based on the colors used within their logos and various promotional pieces of content. Leverage the colors that closely align to your brand’s visual identity. Use those colors within the visual and video content produced by your creative team. Then, run a series of ads that incorporate different pieces of content featuring variations of color. Analyze metrics like reach, impressions, and especially click-through rates on the different versions of your content. See if there are any trends within the data that indicate more favorable responses to content with a certain shade or type of color compared to the others. You can use these insights to further optimize your visual calibration and create more effective content that will deliver results. How do environments within content influence engagement? Once you know which colors best capture people’s attention, you can begin testing other creative nuances. For example, have you considered how people react to the environments featured in your content? Some brands use lifestyle, outdoor settings to connect with prospective customers through a shared love of the outdoors. In some instances, depending on the location you’re promoting your brand, it would befit you to feature recognizable landmarks in the background to show viewers your brand is on the ground in their community. Localized visual content is an excellent way to establish trust and credibility. But when you can go local and feature lifestyle environments, you have a greater probability of producing a more fulfilling consumer experience. You can insert your product into these settings or keep the content strictly lifestyle oriented. The end result should be a higher degree of engagement. This creative strategy is used by brands like Patagonia. According to an excerpt of an interview with Patagonia’s Director of Photography, Jane Sievert, content that showcases an intriguing lifestyle is more interesting to the consumer than strictly product-heavy promotions. Suppose your brand is in the financial services industry. Financial services brands spend as much as $7.2 billion annually on digital advertising. Therefore, it makes financial sense to run a series of tests on how the environments in your content influence audience attention and engagement rates. Develop a series of ads with content calibrated to reflect your brand identity. Run a test on ads showcasing content in outdoor lifestyle settings and compare how they perform against content featuring indoor settings. In the financial services example, you’d most likely show settings from one of your branches. Pay particular attention to the disparity of reach and impressions between the various types of content. The data should illustrate a trend, and the odds suggest that content with lifestyle-oriented settings or environments will resonate best with your target viewers. All of the ads you test will generate data you can use to continue calibrating your visual identity. Allow the numbers to guide you along the path of optimization until you produce a distinct visual style that stands apart from competitors and resonates with your viewers. Include a period of time dedicated to testing when mapping out your content calendar, and use that time to analyze the performance of your ads. You need enough data to draw rational conclusions and finalize your visual calibration. That means you need the capability to produce a ton of content. All of the creative nuances you can test against - from color palettes to diverse environments and many other variables - require enough content to collect data, and continuously improve the look and feel of your brand. This is what we help you do at Shutterstock Custom. 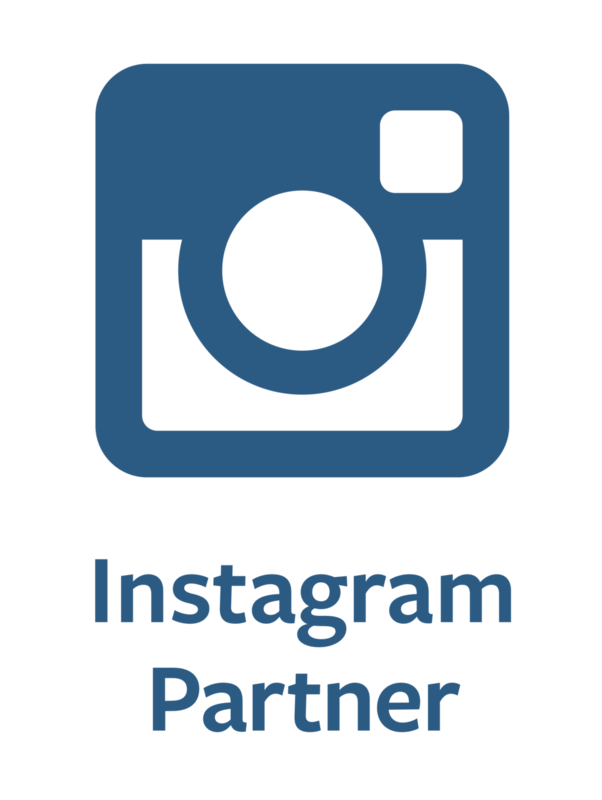 You can use our platform to calibrate your own custom visual identity and create visual content at scale to run as many digital advertising tests as required. Book a demo and speak with one of our specialists to learn more about our custom process and start creating content that generates real results.